Beggars All: Reformation And Apologetics: Roman Catholic Study Bibles? Are you looking for a Roman Catholic study Bible? Why not try out The New Catholic Answer Bible? 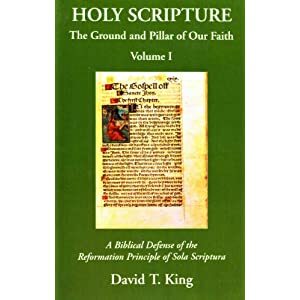 Not only does this volume include color inserts on various topics, it also uses the popular text of the New American Bible (NAB), beloved by millions of Roman Catholics. The New American Bible was put together by a group of Roman Catholic scholars. These scholars also took the time to provide thousands of helpful footnotes on the text of the Bible. These are included for free in the The New Catholic Answer Bible! The NAB footnotes are notoriously liberal. I wouldn't place all that much confidence in them in the first place, myself. If the footnotes in the officially sanctioned New American Bible really are overly liberal compared to the actual teaching of the Catholic Church, isn't that a serious problem for millions Catholics who use it as their source of Scripture? To which the person who appreciates The New Catholic Answer Bible responded: "Yes." If you've got a Roman Catholic friend or family member, and you'd like to keep them confused by the Biblical text, purchase the New Catholic Answer Bible (along with its helpful NAB footnotes) from Amazon.com. Labels: Roman Catholic Study Bibles?